David Payne was born in 1843 in Annan, Dumfries the son of a mason. 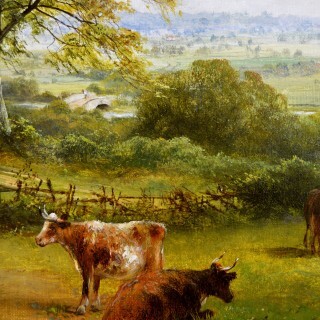 He showed an early talent for painting and was educated at Annan Academy alongside William Ewart Lockhart (1846-1900). After leaving school he was apprenticed to a house painter, continuing to draw in his spare time. 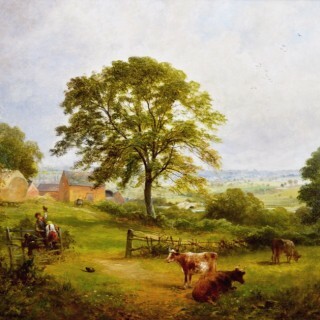 In 1869, he moved from Annan to Derby, later becoming a student of the Derbyshire artist George Turner (1843-1910) alongside Louis Bosworth Hurt. 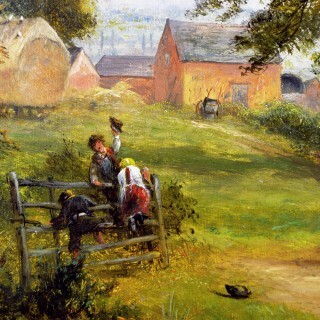 He started exhibiting from 1882 at the Royal Society of Birmingham Artists and the Nottingham Museum and Art Gallery. In 1882, he is listed as living in Barrow on Trent, moving to Duffield in 1884 and then to Derby in 1888. At some point he married, with his success an artist allowing him to provide for 14 children. 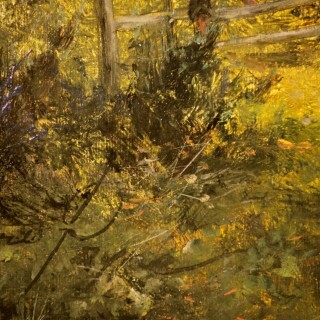 During his lifetime, he was well known for his ‘Trompe L’oeil’ pictures; however it is for his rural landscapes often with the inclusion of figures that he is best known. 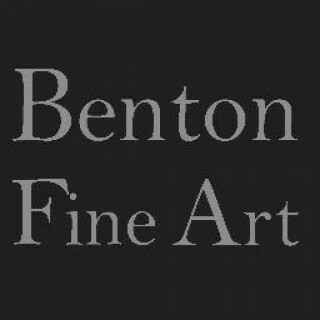 His landscapes capture perfectly the tranquil mellow beauty of the English countryside and for this reason he is widely regarded as one of the best 19th century Birmingham artists alongside David Bates. Payne died at Sheffield in 1894. 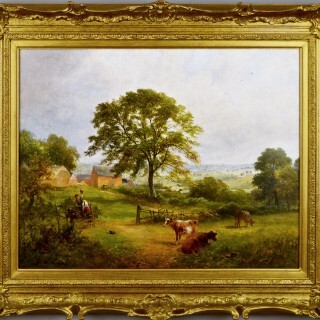 The painting is housed in a new English made gilt frame, which is in excellent condition.